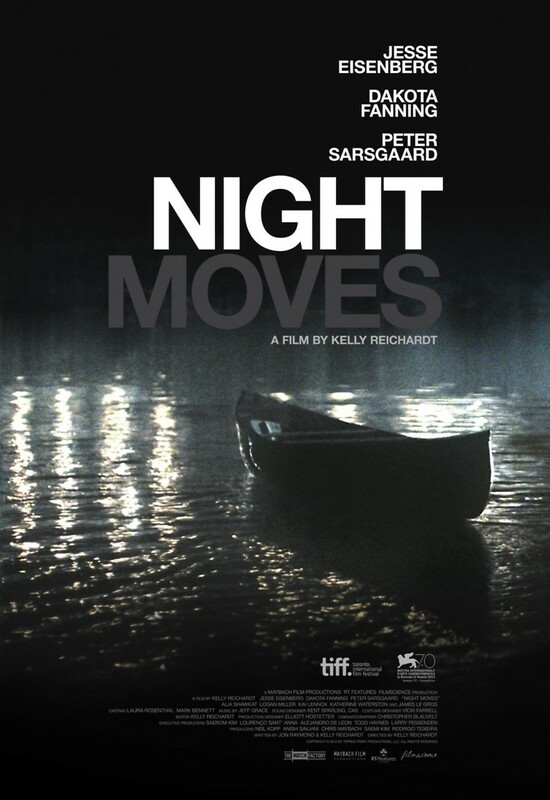 Night Moves DVD and Blu-ray release date was set for September 2, 2014. Harmon is an ex-Marine who still loves the thrill of the adventure and lives for the excitement of his next adrenaline rush. Dena outcast herself from her own wealthy background to search for a more fulfilling life. Josh works at an organic farm and keeps to himself about his middle class childhood. The three staunch environmentalists band together to try to save the world by blowing up a hydroelectric dam that they see as a symbol of man's excess. But they must all make decisions on their ideals when things start to take a turn toward the dangerous.